Lana Del Rey on the cover of Complex, August 2017. 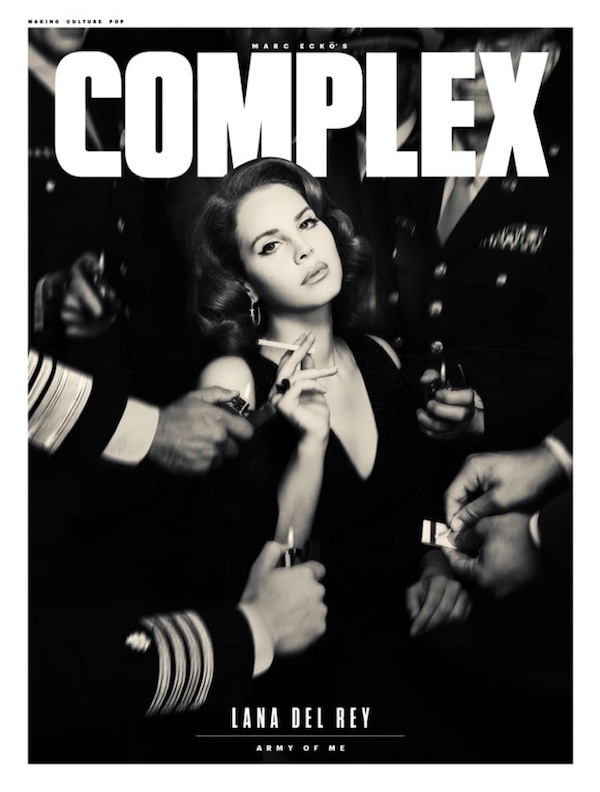 In support of her newly released album ‘Lust For Life’, Lana Del Rey features on the cover of Complex magazine’s August issue, in a 50s inspired photoshoot. MusicLana Del Rey teases new music. MusicAlex Turner + Miles Kane + Lana Del Rey = karaoke hangs. MusicListen: Lana Del Rey’s new songs, 'Groupie Love' and 'Summer Bummer'. MusicWatch: Lana Del Rey performs 'Paradise' live for the first time. MusicLana Del Rey calls out Donald Trump in song-form.